In We Ski (Family Ski in Europe) up to four skiers can test their skills on more than a dozen runs from the bunny slopes to the most challenging Black Diamonds. Not only can players carve through the trails using the motion-based controls but they can also mix in the Wii Balance Board for a whole new level of realism. 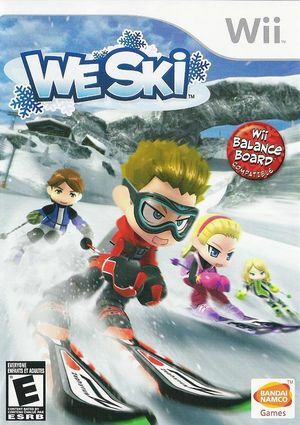 Players can ski using their own Mii or create a new character with a host of customizable options including changeable face and body types. The graph below charts the compatibility with We Ski since Dolphin's 2.0 release, listing revisions only where a compatibility change occurred. This page was last edited on 13 January 2018, at 15:36.